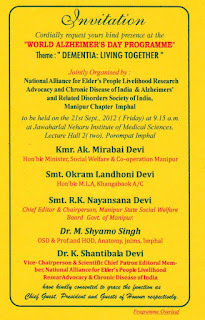 Alzheimer's Disease in India: Programme of ARDSI Manipur Chapter for World Alzheimer's Day 2012, India. 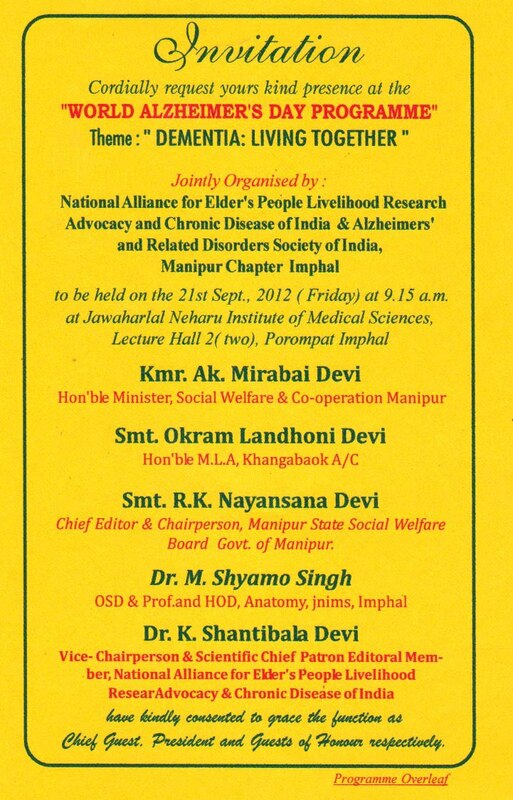 Programme of ARDSI Manipur Chapter for World Alzheimer's Day 2012, India. World Alzheimer's Day Observance Programme at Jawaharlal Neharu Institute of Medical Sciences Imphal, at 9.30 am.